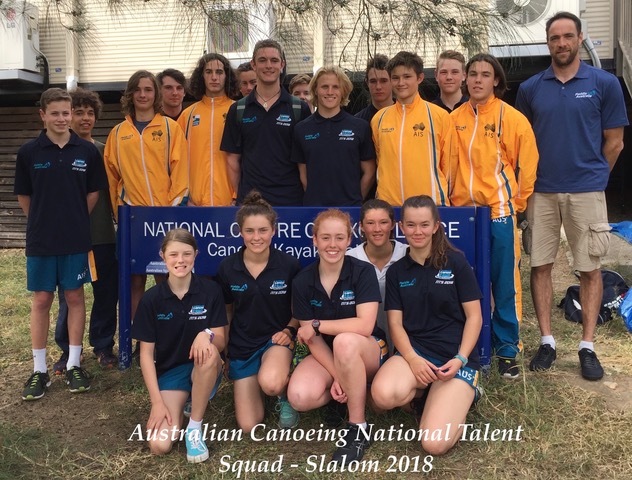 When our Canoe Slalom Junior paddlers come together this weekend for the 2019 Paddle Australia Canoe Slalom Junior National Championships in Eildon, Victoria, they not only race for national titles but also to secure their invites for the National Development Squad (NDS) Selection Camp in Penrith next week (23-24 January 2019). 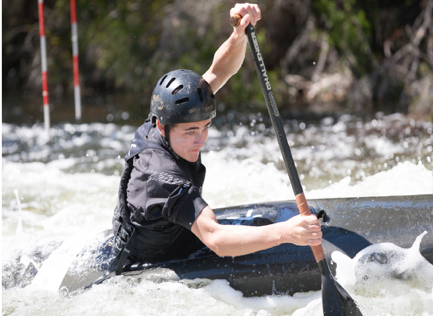 2019 has already been a busy season for our up and coming canoe slalom talent from around the country with the 2019 Paddle Australia Canoe Slalom Senior National Championships in Tasmania last week part of the 2019 Junior Team and NDS selection series. And it continues to be a busy time with this weekend deciding who will get an invite to the Invitational Selection Trials at the NDS Selection camp next week. Have you ever wondered what the work of our national talent squad as well as our development coaches and pathway hubs around the country includes? Get an insight with this excerpt from the 2018 end of year report by Paddle Australia Lead Pathway Coach Mike Druce. And a big shout-out to all the paddlers, development coaches, clubs, volunteers and parents for their hard work on and off the water and good luck to our Junior paddlers on the weekend! 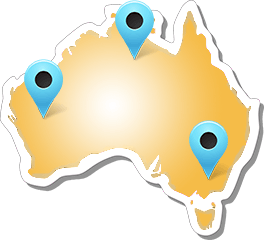 Tasmania November 8-11 – Hobart, Electrona, Broken Bridge, Mersey River , TAS Championships. 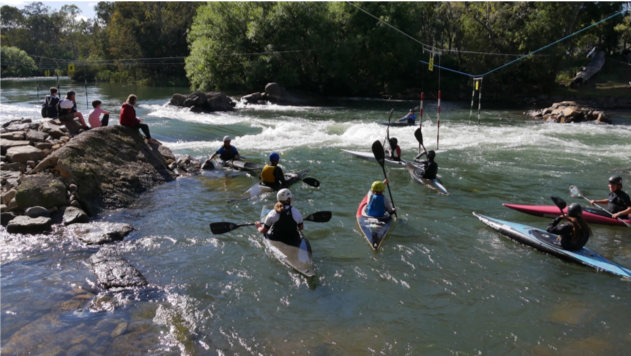 In November, Paddle Australia’s Canoe Slalom Pathway’s coach Mike Druce visited the Tasmanian pathways athletes and coaches, coinciding with the Tasmanian Championships and got a first view of the new flat-water gate training site in Hobart. He also assisted a training session run by Tim Coward and Matt Dalziel with regular gate training possible day to day in between sessions at the Broken Bridge in New Norfolk. He also ran a fun skills session at Broken Bridge with the team experimenting with putting some constraints on technique to learn new skills by paddling with one blade only in the kayak. Over the weekend the activity moved to the newly upgraded Mercy River site with some technique work and a well-run and competitive Tasmanian Championships on the Sunday. The athletes and coaches worked on building the level of the foundation skills, on increasing efficiency and consistency on all of the classic slalom moves. Athletes and coaches were encouraged to participate in C1 and K1 and build skills through experimenting with putting extra constraints on their paddling to force them to come up with new technical solutions. With three levels of training squads in the Derwent Canoe Club Pathway Hub, the potential for new talent is strong and with excellent work being done by the Tasmanian Pathways coaches Peter Eckhart and Matt Dalziel with great support from volunteers and parents. A big group of young athletes was excited to be training and learning with the venue being ideal for developing foundation slalom skills and working on all the fundamentals necessary to be successful in racing. 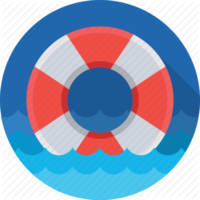 There are also regular gym sessions at Ivanhoe Grammar with the regular strength work and conditioning important in balancing and supporting the work done on the water. 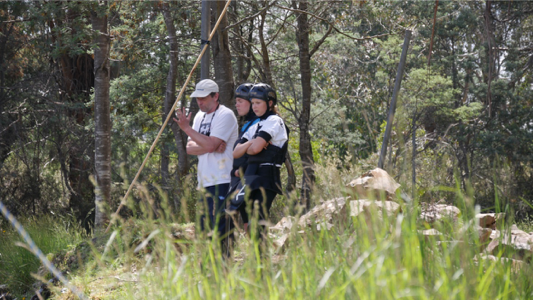 Many athletes from Victoria, some from WA and New South Wales were at the Victorian Slalom development camp at Eildon. One of the strong themes of the camp was the mastery of their foundation slalom skills at each level, so that athletes are very well prepared to step up to more complicated skills. This idea of taking each step and learning it thoroughly is important so athletes are thriving at each level rather than struggling as they reach a new level. The new Pathway Hub coaches Emir Mujcinovic (NSW) and Zlatan Ibrahimbegovic (WA) came along with Warwick Draper (VIC) who was organising the camp. There were some great meetings with all the younger developing coaches and debrief sessions after each day’s training, talking about how we can all improve our coaching and some of their key principles that the pathways program is encouraging. Some of the key ideas that we are committing to as the National Pathways program are to encourage young athletes to train and compete in both canoe and kayak. This is to broaden the scope of their skills and experience which will help her overall development and maximise their opportunities to qualify for squads and teams. Another principal is, that we encourage all young athletes to train and practice to be ambidextrous in canoe, not just switching but competent on left and right. It is clear from the past few years of development in the canoe class that it is a massive advantage to be strong on both left and right side. This is something that is much harder to develop as an older athlete and therefore we will be encouraging training on both sides from the beginning. The program is also emphasising building the best fundamental skills including forward stroke and foundation control strokes. Learning these and drilling them as well as possible at the early stage is the best start that can be given to a young aspiring slalom athlete. We are also encouraging an experimental approach to learning, where athletes are able to challenge themselves and learn new skills without a strict and critical judgement. This will allow athletes to enjoy the process of learning and when guided well by the coach will lead to a fluid and natural style of paddling. This growth mindset to learning is well researched and allows young athletes to thrive and trust in their own ability. The Victorian development weekend at Eildon was great example of how States can run training activity that is inclusive for the whole slalom community and still provides quality coaching to all the athletes in the performance pathway. Michael Druce was also able to fit in a trip to Western Australia before the end of the year. Even though it is quite challenging to get a water release on the Collie the team was able to gets three hours each day and make the most of it. Andrew Pankhurst did an excellent job of getting everything organised and a group of 12 athletes was working on the course. Nina Mueller joined Michael Druce in coaching a group and passed on her knowledge and experience. The team made the most of the venue using different sections for technique work and running some full race length runs on the Sunday. This was all combined with some stroke kinetics on the flat water, which gave everyone some ideas on how to develop their stroke efficiency whilst training flat water back in Perth. The December NTS camp at Brady’s Lake was a great opportunity for the young paddlers to prepare for the junior team selection races coming up in January. Some of the athletes billeted with families in Hobart prior to the camp which was a great opportunity for the paddlers to get to know one another and also to make it easier getting to and from the venue from the airport. The standard of coaching during the camp with Dave Crosbee, Ros Lawrence and Kate Eckhart working together with Mike Druce was very high. 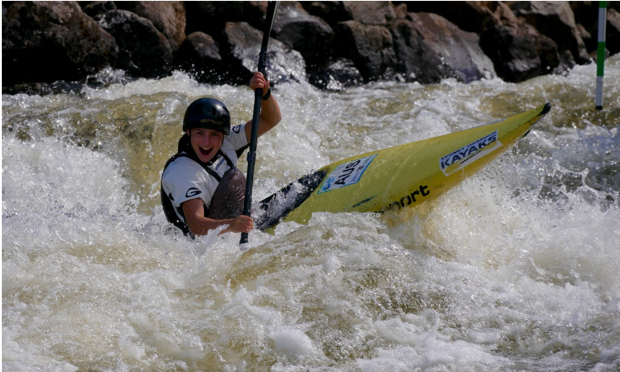 Over the camp there were six white waters sessions on the high-quality white-water course at Bradys. The athletes progressed well over the three days with many breakthrough performances and confidence building first-time runs down the Cruncher for some. On the Friday evening all of the athletes presented on their three favourite International athletes and what it was about their paddling which was so impressive. This was an incredibly interesting evening with some great insight from the athletes as to what makes a high-level slalom paddler. On Saturday evening the group was lucky enough to hear an excellent presentation from Kate and Rosalyn. They talked about their own journey from junior to senior team and some of the lessons and experiences they had had along the way. This was an illuminating insight into the drive and commitment necessary to makethe transition from junior to success on the senior team. Mike Druce at the end of his travels: “At the end of my month of travelling the country to various camps and training groups, it is clear to me that we have a lot of energy and enthusiasm to improve slalom in Australia. We have a good network of coaches who are committed to improving the technical quality of training and build the standard of young athletes. It’s also very important to recognise the contribution of all of the parents and volunteers in making all these activities happen. It would be impossible to run this sport without the huge volunteer effort and parental support that goes on, so thank you to everybody working so hard in the background supporting the young athletes. Paddle Australia Pathways now has a draft calendar for National and State based Pathway activities in 2019, which can be found here.